Can Automatic Watches Stop Working? Can an automatic watch stop to work? Yes, it can. And here’s why. The watch working mechanism is similar to that of a mechanical watch. The only difference is that it doesn’t require an individual to manually tighten the internal mainspring that turns the gears, hands, and other functions. Instead, it relies on a rotor (half-weight metal disc), that transforms the hand motion into energy that winds the spring mechanism. This means that as long that there is motion, then the watch will be winding itself. A good winding should offer between 24 and 48 hours (power reserve) depending on brand and quality. The watch will cease working if the tightness of the spring mechanism becomes loose. Like any other loaded spring, it will lose its kinetic energy as the gears move. And once it riches the end of the power reserve (24-48 hrs), the watch stops. The hands, date and other functions won’t work. Leaving the crown partly or fully open, in case of a water-resistant unit, and then going diving, swimming, or bathing with it may allow water inside the delicate mechanism. This will most likely damage the mechanism and in the process stopping movement. 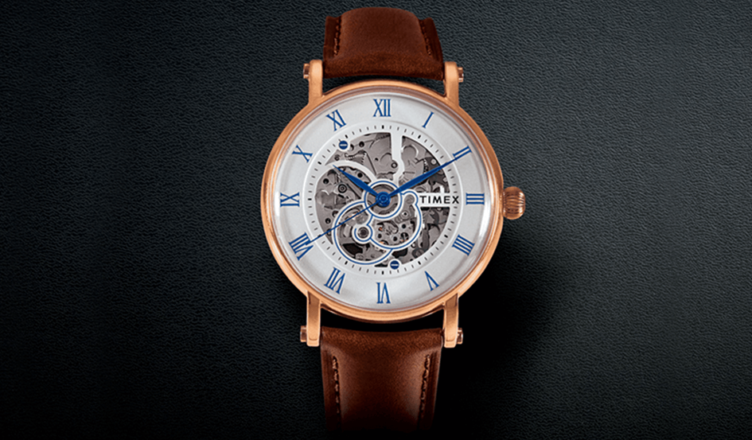 The common misconception is that automatic watches don’t require any winding. This is however not true. They need to be wound/ restarted after they have stopped. It’s also a good practice to wind a new watch or if you haven’t worn it for a couple of days. 1. Hold it in the right manner with the face facing you. 2. Identify the crowd and begin winding it in a clockwise manner. 3. Do this for about 30-40 times and it should be ready for use. Alternatively, you can use a watch winder. The date and hands stopped working? To set them, you pull the crown halfway or three-quarter way depending on the watch. Turn the crown to set it correctly. Once done winding and setting the time and date, fully push the crown inside. With today’s watches, there is no risk of over winding a unit thanks to the disengaging mechanism.